Get a once in a life-time experience to swim and play with these incredible mammals all under the supervision of our expert trainers. Swimmers are briefed prior to the experience and the trainers guide them through the session and answer any questions. 20 minutes swimming experience with the lovable dolphins. Limited to just 8 guests per session. Private experiences are available upon request. 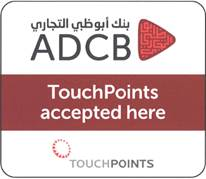 There is a Creek Park Gate charge of AED 5 which is paid onsite. Normal timings 10:00 am to 5:00 pm. 5 and up. Children must be 5 years old above in order to swim.Children under 12 years old must be accompanied by a paying adult (18 years and above). One adult per three children, per interaction. 1 person. There will be up to 6 people with you and 3 dolphins taking turns to be in contact.